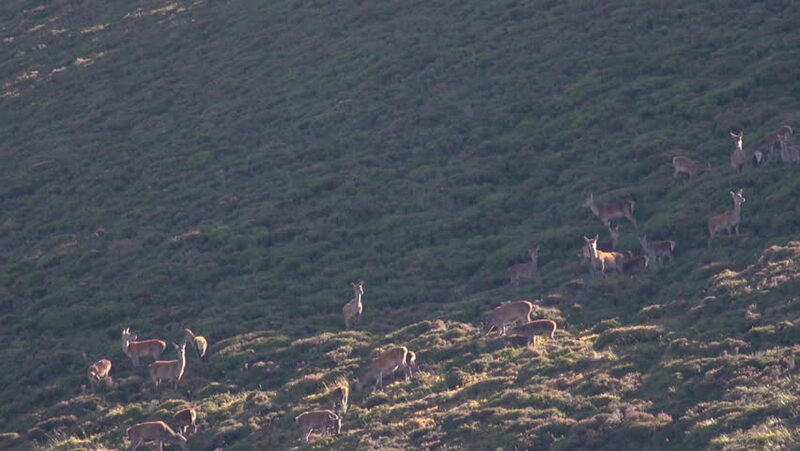 red deer hinds, cervus elaphus, harem on a slope in cairngorms NP during rutting season. hd00:04CIRCA 2010s - A salmon swims underwater. hd00:08A beautiful yellow and black striped Moorish Idol fish swims towards camera then side view along a tropical coral reef, underwater view.